Sometimes described as a ‘trance’, a hypnotic state can induce deep relaxation and tranquillity reflected in physical attributes such as reduced heart-rate, breathing and metabolism; changes in brain patterns have been documented also. This altered state of consciousness allows the individual to have an increased ability to listen and communicate, and will be able to organise thoughts more clearly. Before hypnotherapy will be considered as a treatment option, the individual must want to give-up their habit. During hypnosis the therapist can help the individual gain control over their life in many ways. They can help them set out goals and targets, can suggest ways in which behaviour can be modified by proposing ways in which existing practices are carried out and ways in which targets can be met. Positivity and the ability to succeed can be reinforced as can motivational techniques, body-image and self-control.The psychological and emotional issues surrounding the addiction can be addressed, such as in nicotine and cannabis abuse.Many therapists will provide exercises to practice at home with the aim of inducing self-hypnosis and increase self-control.By having positive thoughts, definite goals and a support network, success is more likely than by trying without an aid of some sort. In theory, anyone can qualify as a hypnotist even those with no mental health or medical training. This does not suggest their ability or intentions but it does indicate a need for thorough research of your chosen therapist to ensure they are qualified and experienced in the field of addiction management. There is a wide variety of therapists available and can be found in the phone book, internet, local newspaper or by recommendation. Many therapists specialise in certain areas, such as addiction, and can specialise further depending on the addiction.Therapists will vary greatly in training, expertise, costs, techniques and environment so again research thoroughly. Sessions usually cost between £30 and £40, though session duration can vary from 30 minutes to over an hour. The length of treatment can vary depending on the need or techniques used. Occasionally only a few sessions are needed, sometimes sessions should take place on a weekly basis for an unknown period of time. 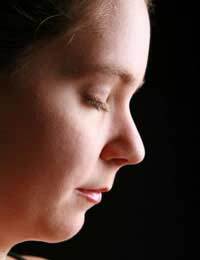 There is also the option of trying self-hypnosis which eliminates the need for a qualified therapist.Methods for practicing self-hypnosis include the use of CD’s, DVD’s, books and courses. Hypnosis for treating addiction should not be performed until after the detoxification process is complete as concentration levels and susceptibility will not be optimal. Hypnosis will not work if the candidate is highly unwilling, nor will it be effective if the person is under the influence of drink or drugs.